This is one overmatch, why it impressed me is for the pledge between the two fighter. I believe you must remember the scene Zoro lying in the land and vowed to never lose again with tears. This is the only one Zoro cry after he joined in Straw Hat Pirates. If the three fights are one match, the result should be Sir Crocodile win (two wins). However, it is one confrontation between livings and dying, which standing to the end would be the winner. Strength, luck, courage and perseverance, too many elements influent this meanderings fight. We don’t know Crocodile is lose Luffy or lose to himself, however, there is one point we can certain when Luffy beat Crocodile to the mid air, we know, the new pirates time is coming! Result: Whenever I think back this section, I will imagine the arousal of Neo of The Matrix. The Geek Squad was once powerful become too tiny and impotence in front of Neo. 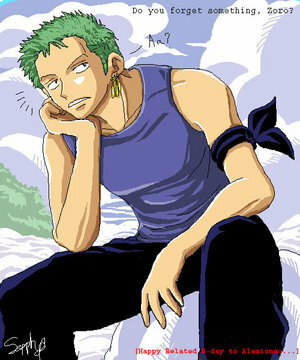 I always think, if Zoro have also see the new world as Neo when he feel the breathing of all things. Have you remember the fight between the two giant? Maybe you have forgotten their name; I was also review the anime and then remember. However, you must impressed by their powerful fighting which continue 100 years. Maybe we have laughed at their duel which forgets the cause. But as the giant said, you who live for ten or twenty years could not understand the things which they have struggle for hundreds years. I believe you must attention who is stronger between Sanji and Zoro? No matter from the reward amount or the powerful of the opponents they have defeated, we guess Zoro is more powerful. However, from this fight, we found the advantage of Sanji, during their fighting, Mr.2 have put out his friend hand to Straw Hat Pirates, I think the feature of Sanji is make his opponents admire. Not everyone is brave, are the heroes must brave. Compare to those who were forcible-feeble, I prefer Usoppu & Chopper. They are terrified of Mr.4 group, but they can challenge to them, their courage is very admirable. The fighting is very common among the Japanese anime; of course it is indispensable in One Piece. I just list small parts of them, if you have other opinions, welcome to discuss with me! One Piece is very popular around the world, just from its striking circulation we could found the position if this anime. And as the popularity of One Piece, the possibility for adapt into live TV version is also very high. About this topic, the fans also have different opinions. This time, there have a questionnaire survey aimed at this topic in internet, and the result have been published among 380 males and 482 females. Q: why do you oppose One Piece adapt into live action? We have talked about the costumes of Luffy and Nami, as a hero in One Piece, Zoro’s costume is much smaller than Luffy and Nami. However, there is one common ground that Zoro costumes are also distinctive. Try to think of the cosutmes of Zoro, how many you have remember? I could only say that Zoro prefer the combination of old-fashioned T-shirt and bellyband, from his appearance he is wearing these dress-up. From the beginning to now, although his costume have changed several time, it would change back into his T-shirt and bellyband. I believe he would wearing this costume till he become a greatest swordsman. If he really become the greatest swordsman, he must be the swordsman who have the worst dressed. It is present to Arlong’s country, but this costume appeared very short, after the fight ended, Zoro changed his bellyband back. This shirt is blue and have some circle pattern. Actually, it is only add a cloak outside the original costume, the outfit adopt black and white stripes. This costume appeared after Zoro fight with Alabasta, it seems handsome. I like this style very much! And it is the first time i found the Green algae color fit the dark blue so much. The character of this Zoro Costume is the special Dustproof Glaaes. Do you like this one? It is present in Enies Lobby , the bright yellow color is the first time Zoro try light and bright color. However, the effect is very good, at least i think so. In Enies Lobby, we have seen the tough fights, and together with this nice costume, it could be a good visual enjoyment. This costume have a high popularity, although i have forget it is appeared in where. From the pic, it seems good. Next is some costumes Zoro have wearing, maybe i could do a poll to invite to select which costume you like best? Shanks: Thanks, Luffy. Makino has told me, you challenged them for me! Don’t cry, you are a man! Luffy (cring): because sharks you, your hand! Shanks: Thats nothing. Just one hand, if only you are safe. Luffy: You have to go? Shanks: yeah, we have been in here for long time, it is time to say goodbye. Will you feel lonely? Luffy: I will become very lonely. But i would never ask you bring me, I decided to be a Pirate King! Shanks: Anyway, i will never bring you to sea! Do you think you could be a Pirate King? Luffy: I can! There is one day i would find my partners who doesn’t lost to these person. I am going to be king of the pirates! Shanks: Have you want to surpass us? (Put on the straw hats to Luffy’s head) This is my most important hat, now i leave it to you, there is one day, i will take it back, when you become a excellent pirate. Sanji said that he took Zeff’s power, fame, hopes, and his leg. In the original, Sanji said he took Zeff’s power and dream away from him. Zeff: Sanji, Don’t catch a cold. Sanji: Zeff boss, thanks for everything in such a long time. I will never forget your kindness. Zeff: You stupid jerk, man should leave silently! Sanji: I hope to see you guys! Nami is the third people who join in straw hat pirates, her position is navigation. At the beginning, Nami is just a partner of Luffy, after Luffy defeat Arlong, Nami became the real member of Straw Hat Pirates. Nami like money and oranges, her dream is to draw the world nautical chart. Till now, Nami is one of few female boatman of One Piece, so Nami costumes have often changed, her colorful costumes also abundant the image of this animation. Have you know there have how many clothes of Luffy in One Piece? If you only remember one, i have to say, if he really only have one costume, he is so pity. And i don’t know if you have found that, Luffy very like straw sandals, he always wears they from child to adult. Now, when it comes to Luffy, you must think of his classic equipment, so there is a formula can describe Luffy’s equipment: Waistcoat + Shorts + Straw Sandals + Straw Hats = Monkey D Luffy. OK, let’s see there is how many costumes Luffy has wear. Let’s talk from his childhood, how much does Luffy love straw sandals? This is the classic Luffy Costumes; I think this must be our first impression of Luffy. This Luffy costume present to the Ghost island, it is similar to his classic costume. This Luffy costume present to the Drum kingdom, at that time, we must very exciting that you are finally change your clothes, although it is Nami’s. You have to pay for it if you break it. This special Luffy costumes present to the Alabasta, the overcoat is red, the red color very suit Luffy. Because the red color usually represents the positive, initiative, enthusiasm, and friendly character, these features conform to Luffy. It is present to Luffy defeat sir crocodile, this costume including a exotic long gown coat and a red belt. Luffy in this style is seems like a child, very cute style. We will remember the well-known saying of Usopp–”Does the black achieved Afro, or the Afro achieved black? “, when we see Luffy’s this style. This is the Navy clothes when they are in admiralty port. Ok I admit this is the Navy cook clothes. If Luffy will cook, he must bring out a empty plate. The Ancient costume theatre of One Piece. This style Luffy costume is too cute! I do not know how to describe this style of Luffy! This is the first time i saw the coalition of Luffy and Dragon in the studio theatre. This costume present to Luffy come back to Water Seven when they make mess in Enies Lobby. This costume is similar to Luffy childhood costume. Luffy in Amazon Lily, there add some embroider in Luffy’s costume, it is too strange in the costumes. This style present to Luffy save Athy, the design is not changed. The formal wear of Luffy, it is present to the OVA10, the showing of Straw Hat Pirates is very domineering! Although in the normal times, Luffy is boldfaced, he could Come in handy in critical moment. The heroic black overcoat with golden decorate and white eiderdown of sleeve. Under the overcoat is the dark red shirt, Luffy’s right hand put on the firearms, his straw hat is never so right before. The costumes describe a domineering, stable and king style Luffy! In general, no matter in animation or OVA, Luffy costumes can’t do without red, the red color in Character represent positive, initiative, open, enthusiast, they are all suit Luffy. Characteristic: Wearing straw, one scar below left eye. Luffy grow up in Windmill Village, and he become the friend of pirate “Red-Haired” Shanks, so from then on, he intended to become a pirate. The scar below his left eye is scratched by himself and to display his ruthless. However, when Luffy was 7 years old, he eat Gum Gum Fruit by mistake, and from then on, he couldn’t learn swimming. How could him become a pirate without swimming skill? Luffy said, i just don’t fall into the sea. Once, Luffy fighting with cateran for defend the reputation of pirate and within an inch of his life, fortunately, the pirates made it, but Luffy have be throw into the sea, and Shanks’s left hand was bitten off for rescuing Luffy. （this section is very impressive）. And when Shank leave Windmill Village, he put his straw to Luffy’s head and said, you have to give it back to me when you become a outstanding pirate! Ten years later, Luffy began his journey with his goal–to be the king of pirate! And that straw also becomes his treasure. Profession: Swordsman of Three Sword Style; dreadful Pirates hunter. Characteristic: Green Hair, haramaki sash that holds his three swords, Zoro also has a black bandanna tied around his left forearm that he only wears on his head while in serious battle. Speciality: Three Sword Style, sleeping, undead. Goal: To be the world’s best swordsman. Zoro began to learn sword when he was young, and his goal is to achieve the level of Kuina‘s who is the daughter of his master. They promise, one of them have to become the best swordsman. Speciality: astuteness and Money Talks. She is a genius thief and navigator. Goal: As a thief, her goal is to save 100 million, and after Luffy solve her problem, as a navigator, her goal is to draw a map of world where her have gone. As the war, Nami and her sister have been adopt by sea soldier Miss Bellemere, and Bellemere take them to her hometown Cocoyashi Village and live a poor but happy life. However, a racist fishman Arlong encroach the Cocoyashi Village, and Bellemere has been killed in Nami.’s presence. 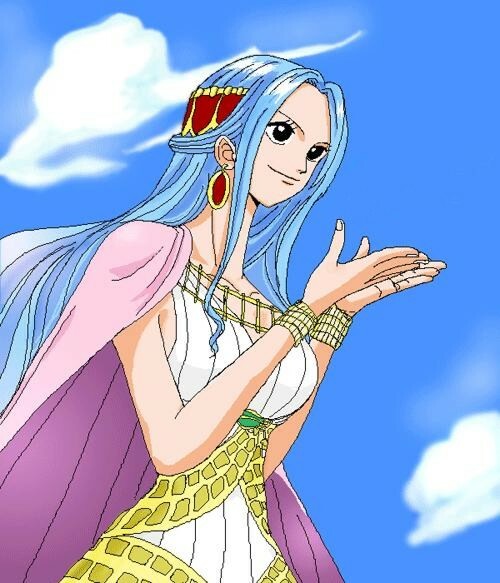 Nami have been forced to become his cartographer, and she make an appointment with Arlong, as long as her save 100 million, she could buy the Cocoyashi Village and the freedom of the villagers. Nevertheless, the thing is not so easy, Arlong combine with the navy, confiscated Nami’s money in the name of pilferage. Fortunately, Nami meet Luffy and other friends, the nightmare of Arlong have gone, she can began her own adventure. In one quiet village, there is a junior run in the village with shout loudly “Pirates come!” Villagers run after the liar with holding broom. 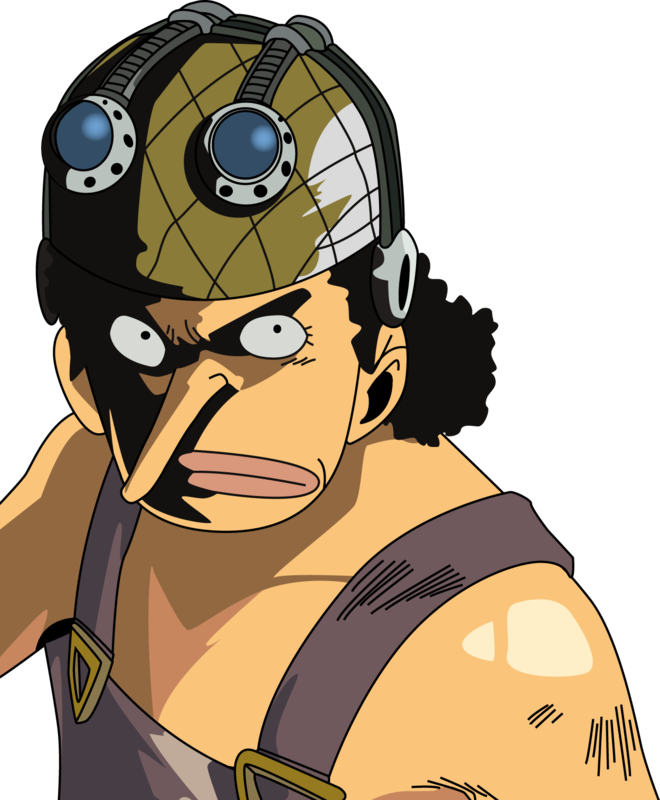 This liar is Usopp. When Usopp was young, his father went to sea, and has not come back until his mother die. Usopp believe his father is one warrior of sea and dream about there is one day he can become a pirate. One day, when Usoppu heard the pirates come and then he tells it to his villager, but no one believes him. This is not the story of “Wolf”. Usoppu decided to defend his village by himself. Finally, with the help of Luffy and others, the village would not be destroying and Usoppu together with them to began his dreaming journey. Goal: Look for “All Blue”, where have all kinds of fish of Four oceans. It is the heaven of cook. As his unusual blue nose, Tony has been repel by other reindeers. And when he eats the Fruit by mistake and owns the people’s strength, he has been out with the reindeers group. When he try to live as the person, he has been expelled to the Village. He lost heart to the world of people. Then, he has been saved by Dr. Hiluluk, and that have been happened for 6 years. 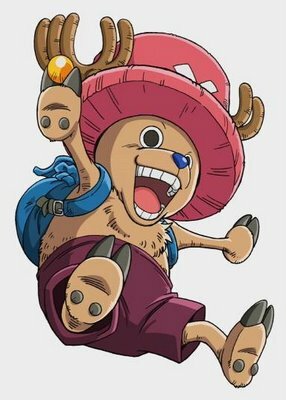 The name of Chopper also been named by Hiluluk. After he has friends, his life recovers happy. Nico Robin is one archaeologist, and she have to link with different criminal organization for gain different history instrument. After beat with Lacoste, she desires to die as her dream fade away, however, Luffy saved her and ended old resentments toward. She become the new partner of Luffy group. At the beginning, Nefertari Vivi was the agent of The Baroque Workshop–Miss Wednesday. And then, she was announced as a princess, to research the secret of Baroque Workshop she become a undercover. Mr 0, who is one of the Oka Shichibukai Sir. Crocodile, want to stirs up the civil war and subvert Alabasta, Vivi must to back to her country and stop this conspiracy. Her behave receive support of Luffy and others.